assisted with stone anchorage for limestone, granite, marble and cast stone cladding. has been a key contributor to development of and education related to masonry industry standards for use in providing tornado shelters. The award was presented during the Awards Luncheon of The Masonry Society’s Annual Meeting in Cleveland, Ohio. 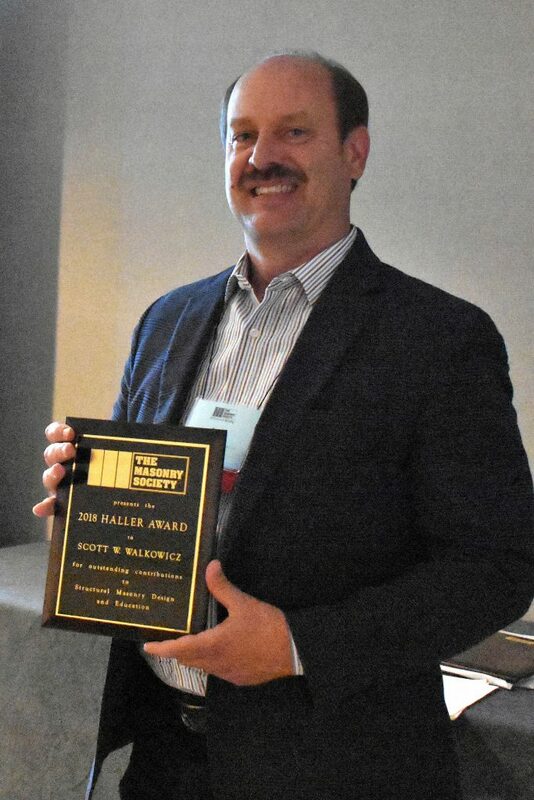 The Haller Award is given to an individual engineer or an engineering firm that has enhanced the knowledge of masonry in practice. This award recognizes the beauty, elegance, and economy of structural masonry projects. Additional information on the on the Award and past winners is available here.